The Miller Center for Recreation and Wellness would like to honor Micah Reigel as our Member of the Month for December 2018. Full disclosure, Micah is not just a member. Micah was here long before The Miller Center was The Miller Center. 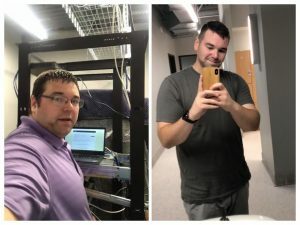 During construction in 2017, Micah worked for a local IT provider and was the driving force behind our computers, networking, IT, phones and wireless connectivity. So, Micah has been with us from the start! Micah resides in Mifflinburg, PA, with his daughter, son and two cats. His favorite fitness activities are running and using resistance bands and weights. He enjoys rebuilding cars and loves all things technical. In fact, he loves tech so much that he trudged here through a foot of snow to get our computers back up and running after a prolonged power outage. Thanks, Micah! As our honoree, Micah will receive a $25 gift certificate to our Cornerstone Kitchen, a Miller Center water bottle, and a reserved parking spot. 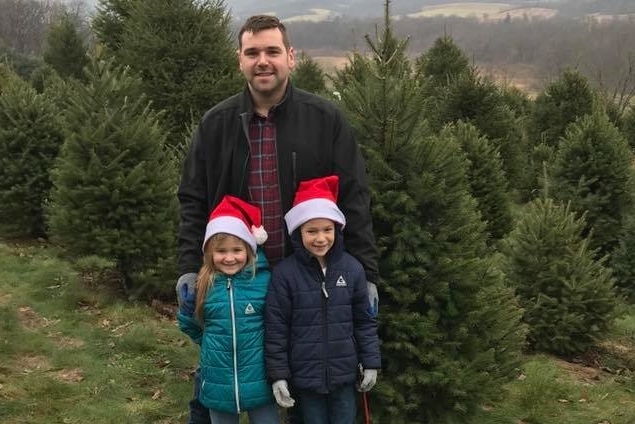 Congratulations, Micah, on being our December 2018 Member of the Month! We are so happy that you are feeling healthier, and can’t wait to see how you will challenge yourself next.